At the end of Search For Yesterday, Kid expresses remorse for being the cause of his family's murder, ...was he really the cause? ...or was he just experiencing what some refer to as "Survivor's Guilt"? By far, this is the most frequent question troubling the thoughtful minds of readers as they close the back cover of Book. As I attempted to answer questions posed by one such reader this morning, I had a cause to reflect on something similar that I find myself facing almost on a daily basis, and in doing so gained a deeper appreciation for this troubling human condition that many of us face in one way or another for varying reasons. Recently, as I have continued to mourn the death of my brother Van, while at the same time contemplate the probable fate of my sweet sister, I often find myself wallowing in my own version of this "Survivor's Guilt", wondering if it shouldn't have been me, ...what is the reason I'm allowed to survive while they, such deserving and wonderful human beings have this bitter illness thrust upon them, suffering unimaginable difficulty and pain times while having their lives cut short? 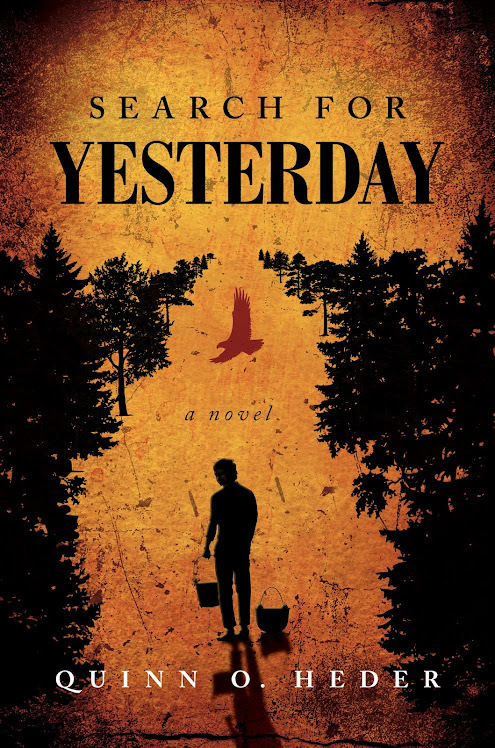 In "Search For Yesterday", Kid, the main character suffers the loss of his memory, seemingly from a blow to the head by falling debris, but after reading Book Two, "Trail Of The Damned", readers will have cause to wonder, as he suddenly finds himself set upon by a traumatic series of events, the last of which leaves him buried alive beneath his burnt home. Now back to the original question, "Was he really the cause of his family's demise?" Obviously, by his comment, he believes he was, but perhaps it is only his youthful perception that defines to him a reality that reasonable thinkers might not recognize. Don't we all at times allow our sometimes myopic perception to distort the truth, creating a personal reality that better conforms to our emotional state? When we do this, it becomes possible for us to see an undesirable situation, accident, or tragedy as somehow being our fault. At times, such thinking can be good, when it causes us to reflect on our shortcomings and make needed behavioral changes, but when we allow guilt to consume our hearts, we risk becoming lost. Despair throws up walls fending away reaching hands, keeping out would be comforters, and obscuring from view any possible doorways to freedom, and all too often the result is devastating if not deadly. I have three personal friends who have at different times over the past ten years, taken their own lives while caught in the wake of despair and hopelessness. The saddest part to me is that from where I and others stood on the outside looking in, each bore little fault in the circumstance for which they paid the ultimate penalty. Someone doesn't have to die for another to experience the destructive affects of this type of misplaced guilt. May I share a personal example, completely different yet frighteningly similar as I now reflect back some thirty five years. As a young teen, life somehow seemed to steer me where it wanted, robbing me of coveted opportunities, friendships and personal achievement I could only look back upon with longing. The farther away I let it pull me, the more I became resigned to my diminished status, blaming myself more and more, until at last I was convinced that it was because of my own stupidity, that I no longer had hope of experiencing my once vivid dreams. I didn't speak about my private sadness to anyone, and did pretty well to disguise it, while all the while continuing to be wagged about by my proverbial tail until reaching a breaking point. Then, a miracle happened, ...hands, perhaps from heaven, as arms reached down and plucked me from my misery, providing new strength, and fresh, productive ideas to fill my chasm of vanished hope. Fortunately, I took the hand extended to me, and by the grace of Jesus Christ was given a chance to change my fate. Kid's memory loss, and subsequent struggle to re-invent himself anew, is reflective of my own adolescent struggle. I never did throw a hatchet like him, or save a beautiful girl from the clutches of hell, but I did experience the gutting trail of social awkwardness, loneliness, and self doubt, and know first hand the darkness that fills such a place. I've never been so sad as a father, as on the night I heard one of my beautiful daughters tearfully admit with a fallen countenance, that she was simply not in the league of the people she wished almost more than anything to be friends with. 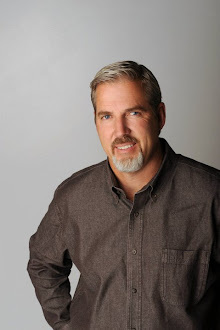 For the causal reader, "Search For Yesterday" may seem like little more than a cute, exciting, or compelling read, ...but for the struggling soul out there, ...for my own children and yours, I pray it is much, much more, ...it just has to be.